Driving in some of the world’s metropolitan areas has presented an increasing problem of gridlock and accidents, combined with the added pollution and high carbon emissions. It appears that a pilot program in France is not only addressing these issues, but may be the benchmark for cities around the world with electric vehicles and a guarantee of stress free driving and parking. The new Parisian car-sharing system called Autolib gives both residents and tourists the ability to zip across Paris, at a modest charge, with zero carbon emissions. The Autolib program was instituted in 2011 and now has 1,740 cars, with around 700 charging stations with space for a minimum of three vehicles. 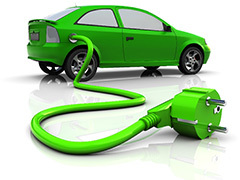 The expansion plan will soon encompass 3,000 cars and around 1,060 charging stations. It took less than one year to have over 42,000 people signed up for the Autolib program. It seems the idea of an electric vehicle fleet with guaranteed parking is incredibly popular; with ten percent of the signups being the tourist population. If you have an international driver’s license as well as a photo ID you can choose from online registration or one of the sixty subscription stations and be behind the wheel in around six minutes. Interesting statistical information that is being gathered includes: the average Autolib trip is around forty two minutes. Longest rentals are around 3 hours and the actual subscription ranges from 24 hours to a year. Rental rates are 4 EUR to seven per half-hour. The busiest usage time for the vehicles is workday endtime. Almost six out of every ten Parisians don’t own a car. Most of the drivers will have a car reservation up to 24 hrs in advance for an inside city one-way trip from a single charging station to another. Confirmation of payment is sent via mobile phone. 7 in 10 of the Autolib drivers are males within the ages of 25 to 50 years. Interactive Commute Map Shows How Bad Commuting is in the U.S.
Posted on June 25th under Pollution Reduction.